Click here to read the whole thing, or pick up a copy of tomorrow’s newspaper. 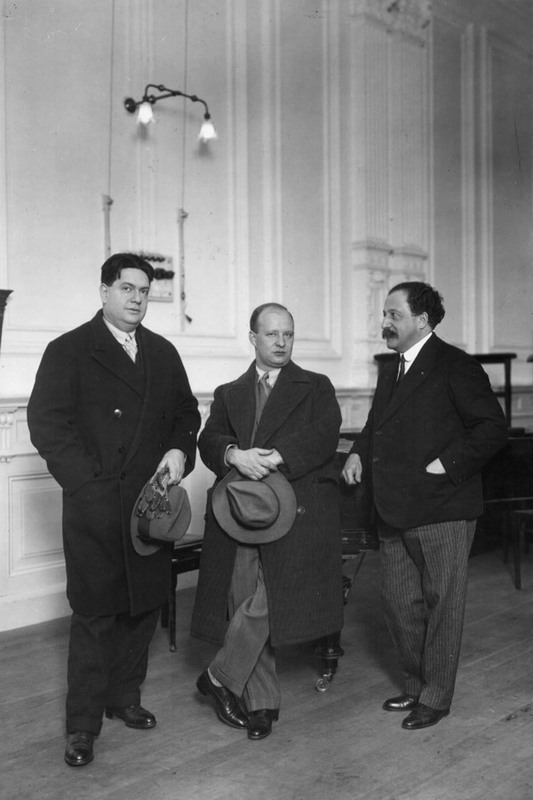 photo: Darius Milhaud, Paul Hindemith and Pierre Monteux. Courtesy Foundation Hindemith. For my taste, DR is the best American conductor. MarK, I find it difficult to disagree with you. Which is why I am excited that in just two short weeks he is returning to downtown LA to conduct the Phil in another attractive eclectic program. I agree with MarK too. MTT is pretty good and I confess to not knowing that much about Alan Gilbert but Robertson brings something extra to his programs in terms of clever programming and brilliant execution. I certainly saw that on display Monday night. There also seems to be a special chemistry between conductor and orchestra. Also, going off of your your first paragraph, I was very happy to see a standing ovation after the Rouse. It certainly deserved it and shows that OC audiences are capable of hearing something new and appreciating it. Even the ovation after Mathis der Maler was good to see.